Ethiopia, with a surface area of about 1.2 million square kilometres is a country of beauty of cultures, nature, landscapes and colourful history. It is located in the east Africa better known as the horn of Africa. 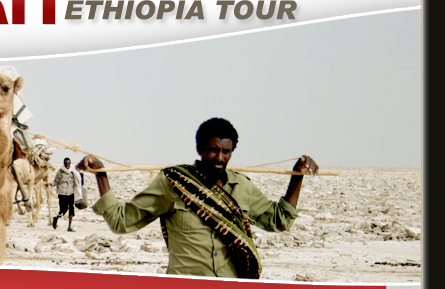 Ethiopia is a very ancient country whose rich culture and history goes back to pre-historic times. It is one of the countries with the longest history in the world. Archaeological findings have identified Ethiopia as one of the cradles of mankind. The 4.4 million years skeleton of Ramidus, 3.5 million years old skeleton of Lucy and ancient cave paintings and tools, are some of the evidences of its pre-historic glory. The Ethiopian people diverse culture is manifested in various languages, way of life customs etc. Over 80 languages are spoken in the country. 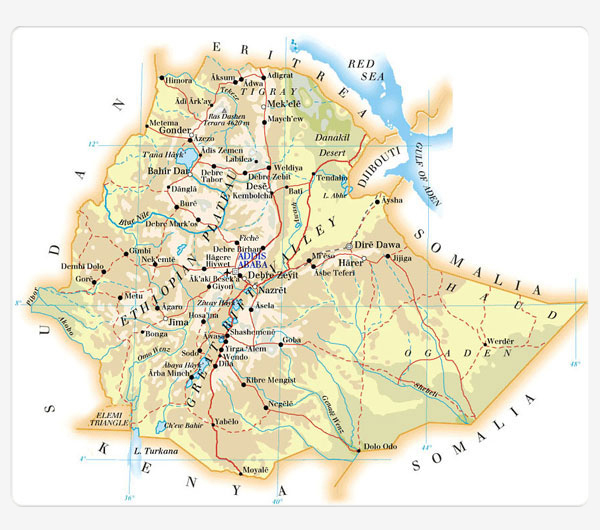 Amharic, Oromiffa and Tigrigna are the major languages spoken by the majority of the populations. The major religions in the country are Christianity and Islam, which are co-existed for the centuries. Much of the country consists of high plateau and mountain ranges. The rift valley separates the western and Eastern highlands. The altitude makes her climate uniquely refreshing and mild from other countries which are near to the equator. There are two distinct seasons in Ethiopia, the dry season "Bega" which is the most parts from October to May (mostly winter season in Europe) and rainy season "keremt" from June to September (summer seasons in Europe). 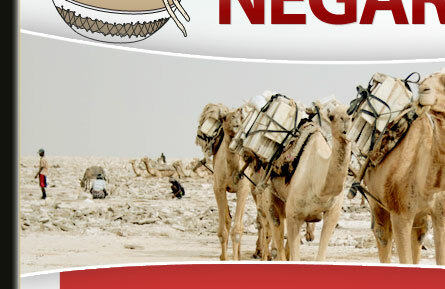 Ethiopian economy is predominantly an agricultural, where agriculture accounts the majority exports and employments. The main exports are Coffee, Flowers , oilseeds ,Chat, pulses, hides and skins.